For years, the board game industry has tried to promote the idea that they’re all about good-natured family fun and friendly competition, but anyone who has ever been on the wrong end of a secret Risk alliance or a particularly brutal Monopoly deal knows that the competition is anything but friendly. Lately, though, more and more board game companies are encouraging players to embrace their bloodthirsty nature with games like Ultimate Werewolf that are all about lying and manipulation. Even Ticket To Ride, a game that looks like a lighthearted adventure about railroad management, demands that you screw over your friends from time to time. 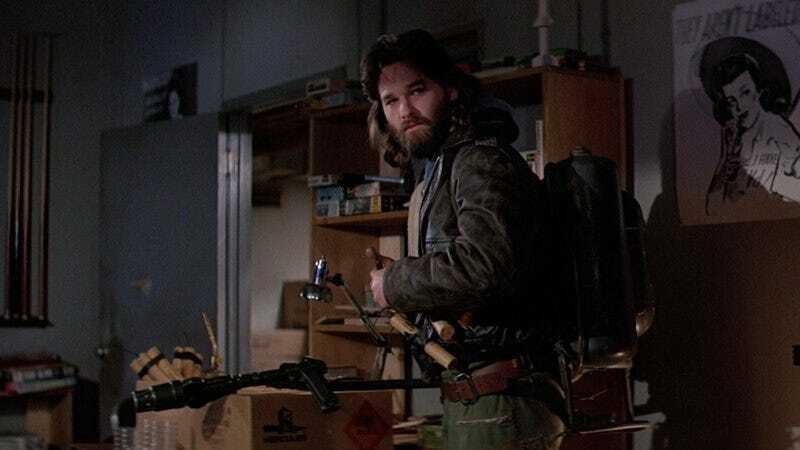 Basically, a lot of board games are now about teaching you not to trust your friends, so Mondo and USAopoly have grabbed the perfect movie license for a game like that: John Carpenter’s 1982 horror classic The Thing. In a press release, Mondo and USAopoly—through its new “designer games” label Project Raygun—announced The Thing: Infection At Outpost 31, a new tabletop game that essentially tasks you with trying to survive the same premise as the film. You and your friends will play as actual characters from the movie as you try to gather supplies, explore the Antarctic research facility, and try to determine whether or not any of your fellow players have been replaced by alien monsters. The game will be available in October, and Mondo will be selling an exclusive version on its website that’s limited to 1,982 copies and includes different packaging, a print, an enamel pin, and two additional tokens representing “the Norwegian character and the Palmer Thing.” You can see some preview images of the game below.